Nickelback is going back on the road and heading to Europe! Click through for dates and ticket information. Two new music videos! Watch "Get 'Em Up" and "Satellite" by clicking through now. 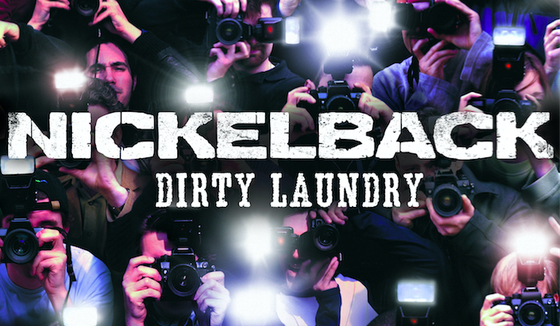 Here's an exclusive sneak peek at the two new official music videos from Nickelback. Fan Club members, be sure to log in and click through to watch the teasers. We are so sorry that due to illness, we have to cancel tonight's (6/19) show in Ridgefield, WA (Portland) and tomorrow at The Gorge (6/20.) Click for more details. Here's the third of our exclusive, behind-the-scenes look at the No Fixed Address tour. In this latest video, check out the band talk about why you should come to a Nickelback show. Fan Club members, be sure to log in and click through to watch. Here's the second of our exclusive, behind-the-scenes video from the No Fixed Address tour. In this latest video, the band discusses the hardest part about playing live. Every week for the next few weeks, we're going to be rolling out exclusive, behind-the-scenes video from the No Fixed Address tour. Fan Club members, be sure to log in and click through to watch. Due to a family emergency, Nickelback was not able to perform March 5 in Omaha and will not able to perform tonight, March 6, in Minneapolis. Due to a family emergency, Nickelback will not be able to perform tonight, March 5th, at CenturyLink Center in Omaha, NE.